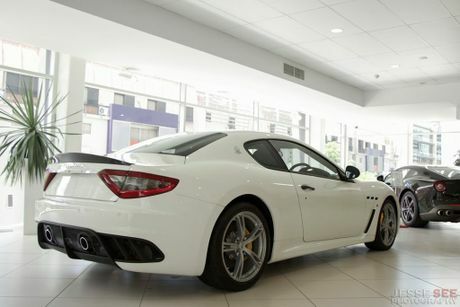 The Maserati GranTurismo MC Stradale. FOR this week's blog, I am featuring the all-new, four-seat Maserati GranTurismo MC Stradale coated in a stunning Bianco Eldorado. Under the new carbon fibre bonnet sits a 4.7-litre, 32-valve eight-cylinder engine which can produce up to 338 kilowatts (460 brake-horsepower) at 7000rpm and 520 Newton metres of torque (384 pound-feet of torque) at 4750rpm. Connected to this engine is a six-speed automatic transmission, with manual shifting paddles behind the steering wheel for manual control, which then sends all the power to the rear wheels. Compared to the previous two-seat MC Stradale, this new four-seater is only 30 kilograms heavier weighing in at 1800 kilograms (kerb weight). 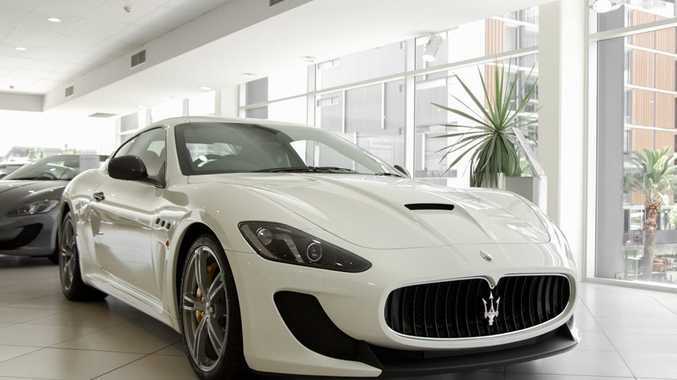 Maserati added many weight saving features, such as the full carbon fibre bonnet and the steel cylinder liners in the engine, to keep the weight as low as possible. This means that the four-seat MC Stradale is still able to produce a 0-100 kilometre per hour acceleration time of just 4.5 seconds, but in actual fact it will keep going until it reaches its top speed of 303 kilometres per hour (188 miles per hour), two kilometres per hour faster than the previous model. When driving the MC Stradale, you have three different modes to choose from, Auto, Sport and Race. Race mode is obviously the fastest mode available, and this is the mode you would use at the racetrack. The gearshifts are as fast as possible, the valves in the exhaust are completely open and it backs off the traction control so you can slide it around. Once you leave the racetrack, you could just put it in Auto mode and it is basically just a normal automatic automobile. The gearbox will shift itself, the exhaust valves will be closed so it is much, much quieter and the suspension will be softer. Some other features that this particular Maserati is equipped with include 20 inch polished Trofeo wheels wrapped in performance tyres, rain sensing wipers, a rear lip spoiler, double-wishbone front and rear suspension, four-wheel ABS as well as traction and stability control, self-levelling and dusk-sensing xenon headlights, a premium Nero leather interior with front sport seats and much more. Just 20 of the new four-seat GranTurismo MC Stradale's will be made available to Australian and New Zealand markets, and they will all have a starting price of $345,000.